(APP) - Pakistan and Saudi Arabia agreed on Wednesday to negotiate a free trade agreement (FTA) for trade liberalisation and increasing the volume between the two countries. Pakistan offered Saudi Arabia to negotiate the FTA directly or sign a preferential trade agreement (PTA) first for providing mutual trade opportunity in each other’s markets, said Commerce Secretary Muhammad Younus Dagha in a briefing to a Saudi trade and investment delegation. From the Pakistani side, the delegation was led by Dagha and comprised officials from the commerce ministry and Board of Investment (BOI) whereas Energy, Industries and Mining Adviser Ahmad Al Ghamdi headed the delegation of Saudi Arabia. Both sides discussed comparative advantages of the FTA and to further negotiate the tariff lines for providing mutual opportunity in trade and investment. Dagha said Pakistan would give the same trade facilities to Saudi Arabia as it offered to China in the FTA and Indonesia in the PTA for ramping up the trade volume. The commerce secretary said Pakistan wanted to increase bilateral trade in the areas of textile, leather, sports goods and medicines in order to gain access to Middle Eastern markets. Saying that Saudi Arabia was a member of the Gulf Cooperation Council (GCC), he pointed out, “We are already engaged in negotiations with the GCC including Bahrain to increase the trade volume with these potential trading partners.” Al Ghamdi agreed to initiate a study and hold more negotiations on the FTA between the two countries. in this regard to further negotiate,” he remarked. 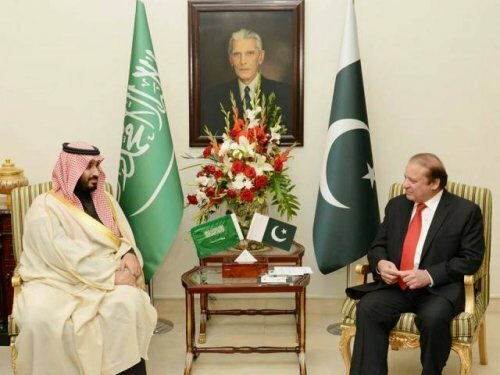 After the meeting, the Saudi adviser told APP that Saudi Arabia was interested in establishing an oil refinery in Gwadar and his delegation visited the proposed site of the project. He revealed that both the countries would sign a memorandum of understanding (MoU) for setting up the oil refinery and mineral exploration in the current visit of the Saudi delegation for enhancing cooperation. He pointed out that Pakistan and Saudi Arabia had a history of diplomatic and political relations, which needed to be converted into strong economic and trade bonds.